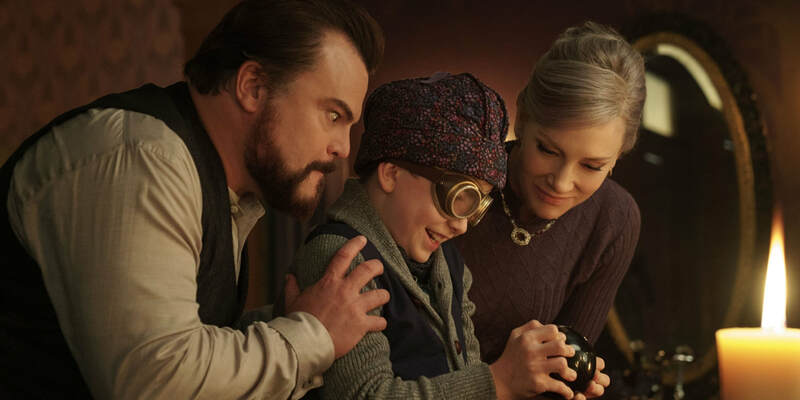 ​"the house with a clock in its walls"
THE STORY - Ten-year-old Lewis goes to live with his oddball uncle in a creaky old house that contains a mysterious ticktock noise. He soon learns that Uncle Jonathan and his feisty neighbor, Mrs. Zimmerman, are powerful practitioners of the magic arts. When Lewis accidentally awakens the dead, the town's sleepy facade suddenly springs to life -- revealing a secret and dangerous world of witches, warlocks and deadly curses. THE GOOD - The youthful innocence of this film is heartwarming and joy-inducing. Constantly putting a smile on your face by making you believe there is still some magic and wonder in the world. Eli Roth's visual direction is actually appealing.